In his latest column, architect and DIT lecturer Simon McGuinness says that careful planning and attention to detail is essential for timber frame party walls to properly prevent the spread of fire. 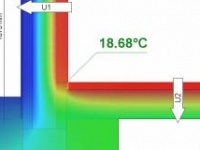 Is building life cycle assessment about to become easy? Establishing a building’s overall sustainability ultimately means quantifying the impacts of the materials used to construct it. Up till now, that’s been a laborious, time-consuming process. 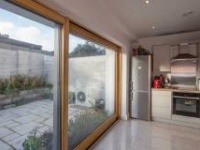 That might be about to change, explains Irish Green Building Council CEO Pat Barry. The housing crisis - what is to be done? Almost a decade after the economic crash, every political party in Ireland now recognises the country is in the middle of a full-blown housing crisis. Similar problems exist in the UK market, but for different reasons. Now, if the political will to fix things has finally arrived, the question remains — what can actually be done about it? This unique sports and drama hall, inspired by the architecture of local buildings, was built to a new standard that aims to ensure buildings deliver all round health and comfort to their users. Two spectacular low energy social housing units looking out over Ulva Ferry’s breath-taking surroundings prove to be a superb response to local problems of fuel poverty and lack of affordable family housing. 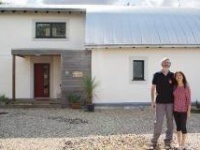 With low electricity and gas bills and a feed-in tariff from its solar photovoltaic array, this simple, ecological timber frame passive house near the Welsh border manages to make about a £50 profit on annual energy costs. Set on a picturesque coastal plot in north County Dublin, this eye-catching home was built from clay blocks and strives to balance energy efficiency and comfort with expansive sea views. Homeowners Michael and Paula Sheridan say that, living in their farmhouse-inspired Mayo passive house — which includes a highly unorthodox heating system — it’s easy to completely forget how cold it is outside. Simultaneously tackling fuel poverty and climate change requires drastic action on deep retrofitting the existing housing stock – and fast. Dún Laoghaire-Rathdown’s deep retrofit and renovation of Rochestown House may be Ireland’s most significant retrofit to date – a fact reflected in the project picking up the sustainability award at the 2017 Irish Architecture Awards. Design-and-build contracts have become increasingly common in construction, a trend that must be reversed in light of the Grenfell Tower fire if we are to deliver safe and high quality buildings, says quantity surveyor Michael McCarthy. The commercial secrecy surrounding the fire-testing of construction materials undermines fire protection by potentially obscuring serious concerns, a major alliance of fire bodies has told the public enquiry into the Grenfell disaster. The rural Herefordshire village of Garway is busy planning for a sustainable future with construction of a new community centre to the passive house standard. The North American Passive House Network (NAPHN) welcomed representatives of the United Nations to address the opening plenary gathering of the NAPHN17 conference in Oakland, California, on 6 October. New solar PV capacity grew by 50% last year, with China accounting for almost half of the global expansion, according to the International Energy Agency’s latest renewables market analysis and forecast. 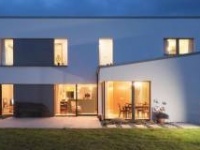 Specialist low energy building product manufacturers Quinn Building Products have been announced as the main sponsors of the World nZEB Forum, which combines pre-forum workshops on 15 November and a conference on 16 November. Solecco Solar launched its innovative solar roof tile solution at the UK Construction Week trade show which took place on 10 to 12 October at the NEC in Birmingham. SMET Building Products, which supplies a wide range of products for low energy and fabric-first construction, picked up the award for best small business at the Greater Newry Business Awards, organised by Newry Chamber of Commerce & Trade, on 28 September at the town’s Canal Hotel.